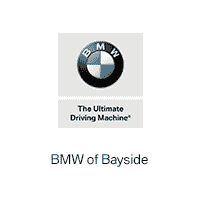 BMW Financial Services offers a full suite of products through the BMW Ultimate Protection Program. Whether you want to extend your coverage or need additional protection products for your vehicle, we can make it happen. For whatever you need, when you need it – it’s reassuring to know that we have you protected. Protection that provides peace of mind for your new, used, and certified pre-owned BMW vehicles. With BMW Lease Protection, you can relax and enjoy the drive, knowing that some or all of those potential excess wear and tear costs are waived when you turn in your leased vehicle. BMW Tire & Wheel Protection – coverage for road hazards such as metal, nails, glass, debris, potholes, blowouts, etc. for as much as five years. Windshield Protection – coverage for replacement of cracked and broken windshields. Paintless Dent Repair – permanently removes dings and minor dents without harming the factory finish on your BMW. BMW Key Protection – reimbursement towards a replacement key and 24 hour vehicle lock-out assistance.